Got a plan for an arts project but need some cash to get it off the ground? Bring your pitch to Soup Sessions and let the audience vote for their favourite idea over a delicious bowl of soup. 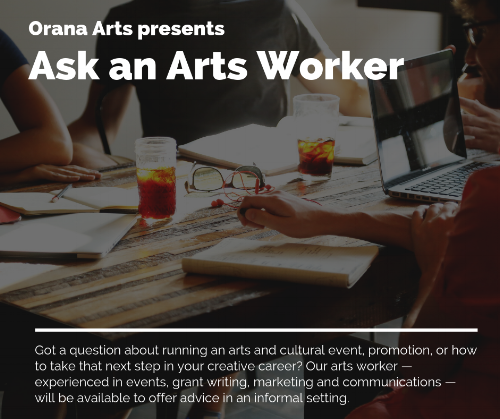 In 2018 the Orana Arts Soup Session program brought micro-funding to community projects in Mudgee, Wellington and Coonabarabran. Look out for Soup Sessions coming to Baradine, Gilgandra and Gulgong in 2019. Learn about accessing funding and writing professional grant applications. Get tips and hints on language, budgeting, partnerships and more, from our experienced grant writers. Whether you’re an individual creative or a small arts organisation, it’s valuable to showcase your work or events. Print and radio marketing are still massively important ways to get your message across, but if you’re not complementing this advertising with social media engagement then it’s time to get involved. Twitter, Facebook, Instagram and blogging – learn the basics of these platforms, discover which one can work for you and get the most out of your online community.